Description In the near future an aircraft racing championship will taking place on a far planet. 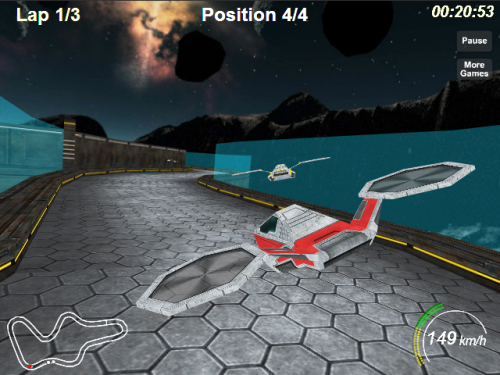 As a pilot you are going to participate in this futuristic helicopter race and prove everyone that you are the fastest pilot in the universe. Controls Use arrow keys or W,A,S,D to control the aircraft.